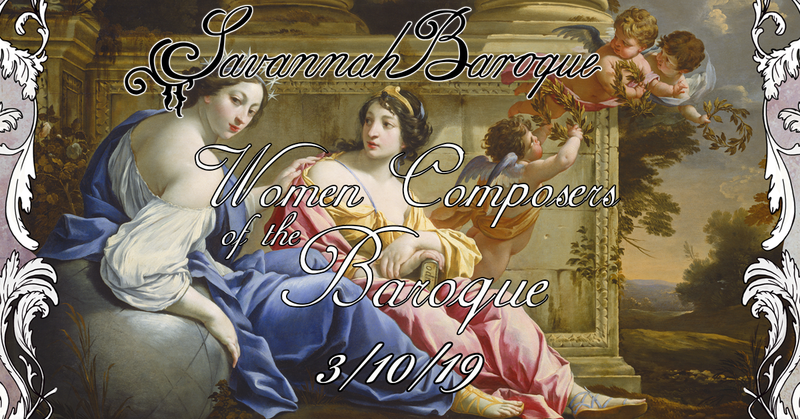 Savannah Baroque joyfully presents a program of outstanding vocal and instrumental works by women composers of the baroque era including Anna Bon, Francesca Caccini , Sophie Dussek, Isabella Leonarda, Mariana Martines and Barbara Strozzi. Performers: soprano Tina Zenker Williams; baritone Kyle Siddons; Jeana Melilli, baroque flute; Erika Andres, baroque flute; Ann Cafferty, baroque violin; Marcy Brenner, viola da gamba; and Anne Acker, harpsichord. This event was posted in Performance.